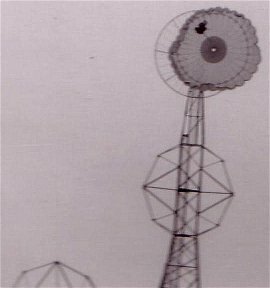 #2 - This photo gives a view of the parachutist being pulled to the top of the tower, it also shows how the outer edges of the canopy are attached to the large ring keeping the canopy fully opened. #3 - Parachutist has been released from the top of the tower, and is now completely on its own. During the next 30 minutes to a minute he will have a true understanding of how it feels coming down with an open parachute. Thanks so much for posting those pictures of CFB Rivers. then riding home on my bicycle in a light hail from a thunderstorm. we watched in horror one sunny day as a T-33 dove into the ground from an unknown cause. My dad (Ross Caldwell) was a radar tech and worked on all those planes and knew the pilot(s) so he was deeply affected. I was in the cub/scouts there and well and we went out on a hike from the base. A couple of the boys had no clue about fires and managed to set the prairie on fire. We (staff and kids) fought it as best we could until the base firetrucks came and put it out. I was heartbroken as the only thing I had to fight the fire was my jacket and it was too badly damaged to keep. Mom had made from one of Dad's old battledress uniform jackets. 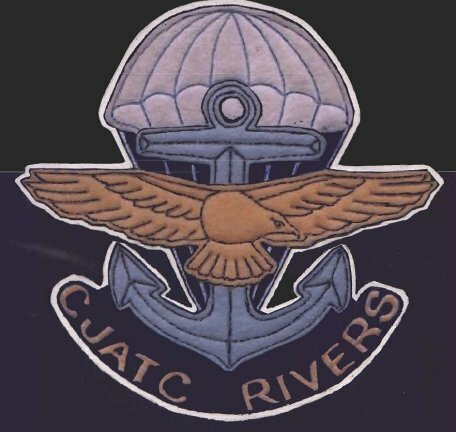 Thanks so much for your website with its many pictures and stories about Rivers CJATC. I too remember the gym on base. Some of us attending the elementary school took art lessons upstairs in that huge building. 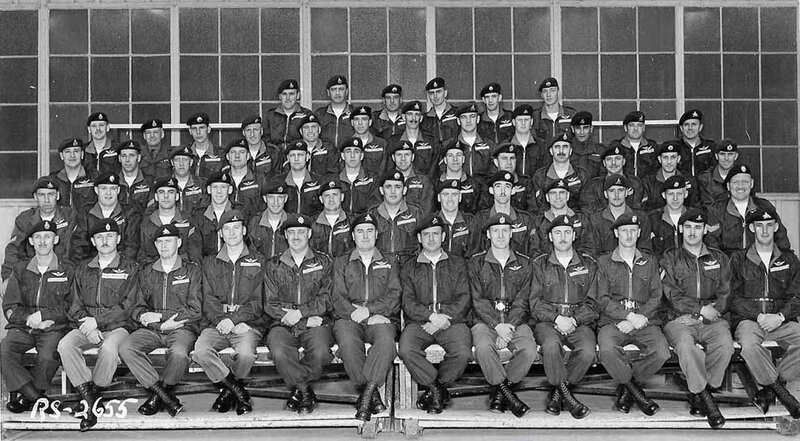 My father was a T-Bird pilot w/408 Sqn. from 1964-67. He did not stay with the service post-unification, choosing instead to go with an airline job, as did many of his contemporaries. Our transition to civilian life was bumpy after leading the quiet life in Rivers but the good memories of that time still linger. It also took a while for me to get my own ride in a T-6/SNJ/Harvard. This came about at a local airshow in 1992. With the exchange of the princely sum of $40.00 in gas money I was treated to a 20 minute flight over the TX countryside where I now live. Servo-tab ailerons improve handling the later Harvard IVs/T-6Gs/SNJ-5s quite at bit. If you like, I'll see if I can scare up some of my father’s photo slides from that era. There are plenty of family pix and maybe some of the base, as well. Did you know that ca. '65-'67 the Catholic Padre on base was an ex-German Army (WWII) tank driver? He flew an Ercoupe around Manitoba administering to his various flocks. I once saw him flying home to base and after landing having the plane pushed into the last hangar on the line for safekeeping. The mechanics in their white overalls were always a treat to see in action. You say it's all a hog farm, now??? I just found your beautiful site on Google. Your site really interests me because my dad was stationed in Rivers from 1960 until 1966. Have you got any articles of the history of the Rivers Air Force Base? I was very disappointed ten years ago when we visited and found that all the houses had been taken away. We had been there a few years before that, when several of the houses and the school had been torn down. I took many pictures of this and when I picked up my photos after having them developed, the clerk asked me if we had gone through a tornado on our holidays! When we lived in Rivers, we went to Rivers Collegiate. My father was transferred to Uplands, Canada and after he retired, we moved to Welland, Ontario. Rivers holds a very special place in my heart and I will never forget it! I would be interested in any Rivers history that you have. I have many pictures of Rivers, also if you would like them! Thank you so much for your quick reply! I will certainly find some pictures and send them to you! I remember when we visited Rivers the last time and we found out that some of the base houses had been sold to a Brandon business man, we found out where he had placed the houses in Brandon and took pictures of them. It was so nice that a least some of them were being used! We were also told that for $500, the Indian people could just transport a house from off the base and make themselves homes! That was nice too. You are from Brandon!! What happy memories we have of that city! Every Sunday someone would drive the 33 miles to Rivers and bring us back to Sunday School There were nine kids and my mom. When I think of it, those people went 66 miles round trip TWICE on Sunday to drive us to Sunday School and church! It sure must have cost them a lot on gas! Thank you again for writing. We really appreciate it! I will find those pictures and your site is now in my favourites! I was looking at your web site of the CJATC in Rivers MB. I am a Harvard enthusiest and I am researching the history of a Harvard in the Western Development Museum in Moose Jaw SK. Their Harvard is RCAF 30475. While serving at Rivers it would have had the numbers 475 on the side. 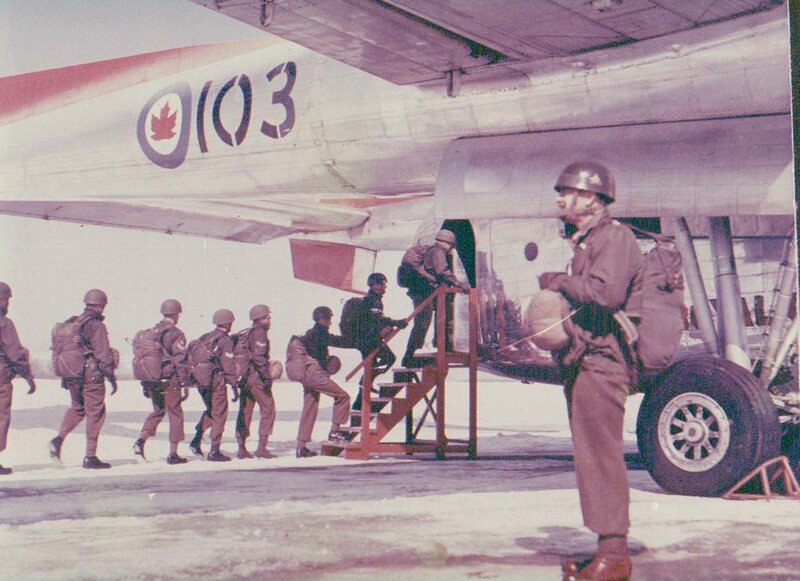 The other aircraft was RCAF 20370 which is shown on your web site. Would you or the contributor of the photos for you web site have a photo of Harvard "475" while it served at Rivers MB? Just saw Gerry's pictures of Rivers and had a chance to take a look at your site. I too was in Rivers around that time. From 1957 until 1962. 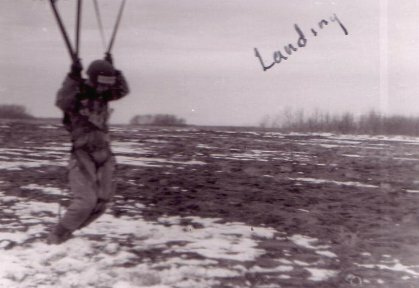 I was in ground training wing then at the airborne school before being posted to Winnipeg. A great posting a good bunch of guys. My site is www.normsmedalmounting.com. Sorry I don't have any pictures of Rivers for you to add, I lost everything when I left Rivers. Nick Nichols mentioned here was my original instructor. Col Saul mentioned here was once my Company Commander in the PPCLI in Calgary. Mike Chimko mentioned here also one of the gang ... he was awarded an American medal of sorts for his action in taking charge of the crew of a crash landed C47 (Dakota) in the Yukon Mountain range during Exercise "Sweet Briar" in 1949\50. 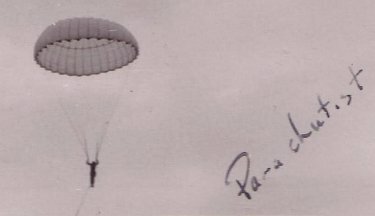 Many Aircraft flew at Rivers, but the basic Parachute course was the mainstay. I flew many hours for DRB (Defence Research Board) to establish air sickness critea. G\C Peter Gilchrist was Base Commander for much of my service there. Wintering in Lake Worth Florida. If you're talking with any of your buddies ask them if they can remember the Lavallee three sisters. I think they could have been Metis lived in the PMQs. Their father was the head cook on the base when I was there in 1955-57. The eldest would have been 18, middle probably 16, and a younger one around 13 or 14. They were a great family. I was only a young teenager myself at the time and a long ways away from home, they treated me like I was part of the family. Actually I came very close to returning to school when I was in Rivers. I was supposed to go back to High School on the base in the fall of 1957, but I got stupid and married a young lady from Winnipeg, which cancelled my career plans. Wally Mills, the base Adjutant, wanted me to get another year of High School with the intent of sending me on to Officer training. I would have fit right in with the rest of the teenagers at the time as I was only 19. It would really be great if I could get my hands on some of the old 8mm movies they used to take of us in Rivers. We didn't just train all of Canada's airborne, we also tested anything that was new before we would pass it along to the Infantry. 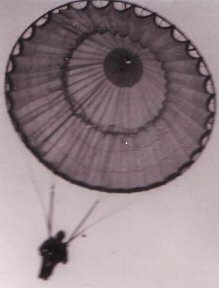 They used to try different ways of packing chutes and other things that only a parachutist would really know about. They wanted to see for themselves how these different changes looked as we came out of the plane and they used to fly alongside the backend of the Boxcar in the Harvard, and the job of the Navy guy was to photograph with a movie camera, boy those Harvards were noisey. I watched a show on the History channel this evening and the show in question dealt with heritage homes. They had a guest responding to some of the questions. The name of the guest was "John Ralston Saul." Do any of you former members of the Rivers era remember Col Saul... and maybe know the name of his kids,? 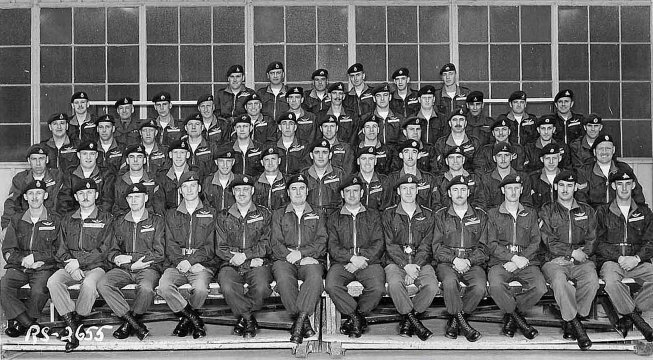 This Saul reminded me of the Col Saul at either Airborne School, or Air Supply School in the mid 50s, (curly red hair) however, if I was 18 then and now 70, I'm sure that the Col would have been at least 10 to 15 years my senior, which would put him in his mid 80s. The fellow on TV looked to me to be in his 60s at least. I would think that would put him in the age bracket of Bill Hillman, and possible the son of our old Colonel..... any comments.....??? I was just looking over your web page regarding the subject matter and was very surprised with the tradition of your family and I must say it is very impressive to say the least. 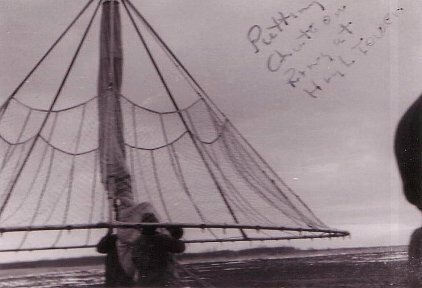 Attached is a picture probably taken at Rivers in the fifties. I myself attended an air supply course there in the winter of 1962. I do have also another connection. My brother was a tail gunner in a Halifax and I think was stationed with 6 Bomber Group. I am trying to locate the Sqn that he was in. I have come across your site on google by coincidence and i really wanted to add your site to my site as a link. I would like to have my weblog linked to your site, for parachutist's brotherhood. Within 30 seconds we had cleared out leaving our mess behind, and about a half hour later I returned to my quarters and was informed that the MPs had been around looking for me. So I went out again and, sure enough, they were patrolling the camp so I somehow managed to climb up on top of the Rec Centre and watched them driving around and around trying to locate me. Eventually I went back and slept off my drinking spree. Next morning of course was a whole different ball game -- no one said anything to me so I didn't own up to any mischievous nonsense. I remember the Army Sgt in charge of the military police detachment gave me a call and started asking questions, he said that Buchanan had turned himself in but had no idea who pushed over the phone booth. Well, I couldn't let old Buck take the blame so I owned up to the whole thing. 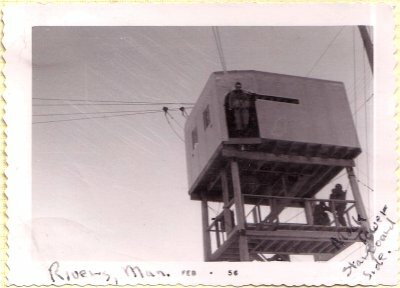 The camp RSM at the time was an old RCR chap, WO1 Tracey. He came up and laid charges against me. So I had to go up in front of the CO. I could hear them laughing about the whole incident as Manitoba Telephone had repaired the line and wrote the whole matter off as a minor misdemeanour... oh but not the Army. Anyways they gave me a couple of days extra work because they didn't want to punish my new wife, who was living in Winnipeg, by stopping my weekend pass to go home. They made me dig a dugout on the camp baseball field, and on the second night I think that they made me fill the dugout back in. . . . just a fun time memory.